Posted on September 20, 2018 at 5:02 pm. Dawn Piper says she didn’t understand why her lifelong friend Dawn Cornfield liked getting up early on Saturday mornings for a running race. But then she found herself at a local fun 5K in support of a young boy living with Cystic Fibrosis. This midwest running event — the friends live in Illinois and have ties to Michigan — was the start of what would become a running-and-wine-related business that gives back to charitable organizations. 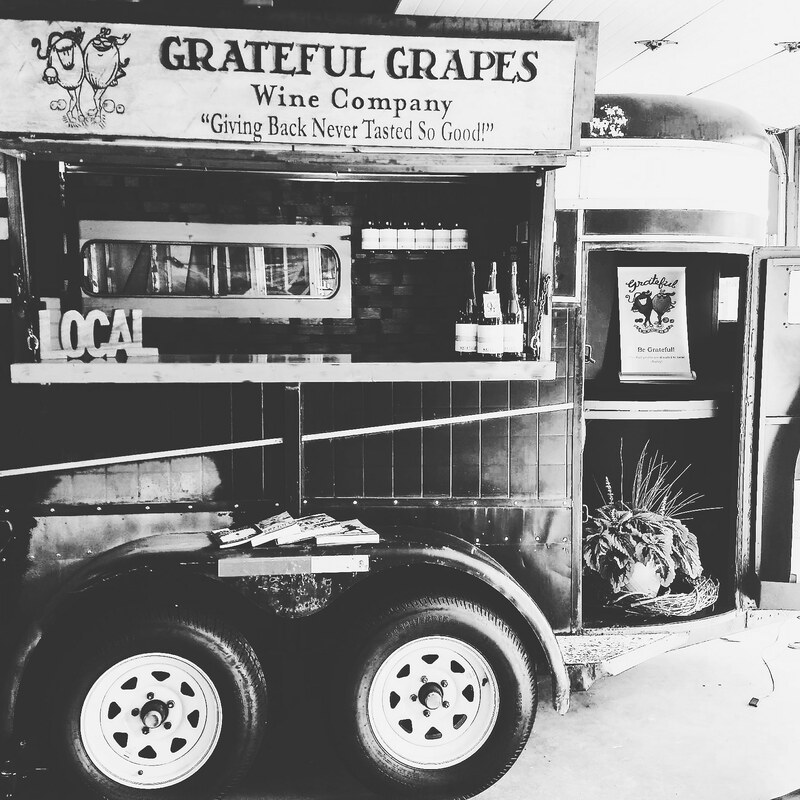 Grateful Grapes Wine Company, which partners with Michigan and other midwest wineries to bottle seven varietals, is dedicated “to celebrating community, benevolence, and health,” Dawn Piper says. 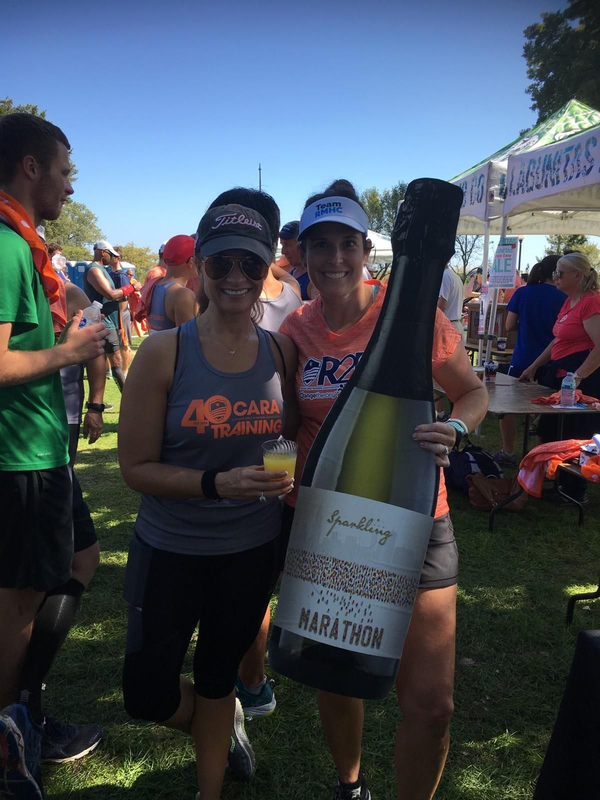 MRG caught up with Dawn recently to learn more about Grapeful Grapes, which will be among the vendors at next month’s Chicago Marathon (they’ll be laser engraving their Marathon Sparkling at the Expo Oct 5-6). 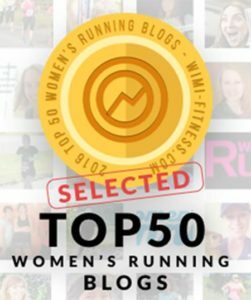 Grateful Grapes also sponsors community runs, donating 5% to local, small charities, and and plans to expand into Michigan in the coming year. 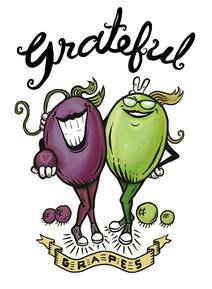 How would you describe what Grateful Grapes Wine Co. is all about? 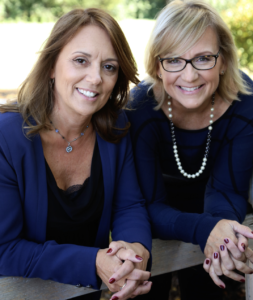 Two lifelong friends combing their passions for wine and running in a way that supports local community charity events. These events are the heart and soul of a community. The organizers are volunteers with careers and families, and their time and resources are limited. We provide a unique and fun element that helps to attract more participants. How did it become what it is today? We started out with fabulous wine, a table, a tent, some cups and a cooler. For three years on most weekends, we packed up my husband’s van and drove all over Illinois for 8 a.m. start races, where we poured for free. The weather could be tricky, so the tent situation became dangerous. I scoured the web for a beat-up vintage horse trailer that we could make our own. My husband really nailed it with the conversion. Now we have a presence as a company, which has made a huge difference. We have charitable organizations reaching out daily through our info email now. Our 5K wines will be featured in the Marathon VIP tent this year and we will be selling at the Chicago Marathon Expo. You’re a Midwest company – can you share your ties to Michigan? To say we love Michigan is an understatement. It’s our dream to retire there. As a teen I camped at Van Buren State Park with my friends in the summer and fall. I melted a great pair of brand new hiking boots, at my first campfire experience there. We have great friends who own a summer home on the beach in Grand Haven. They’ve been kind enough to share it with us often. 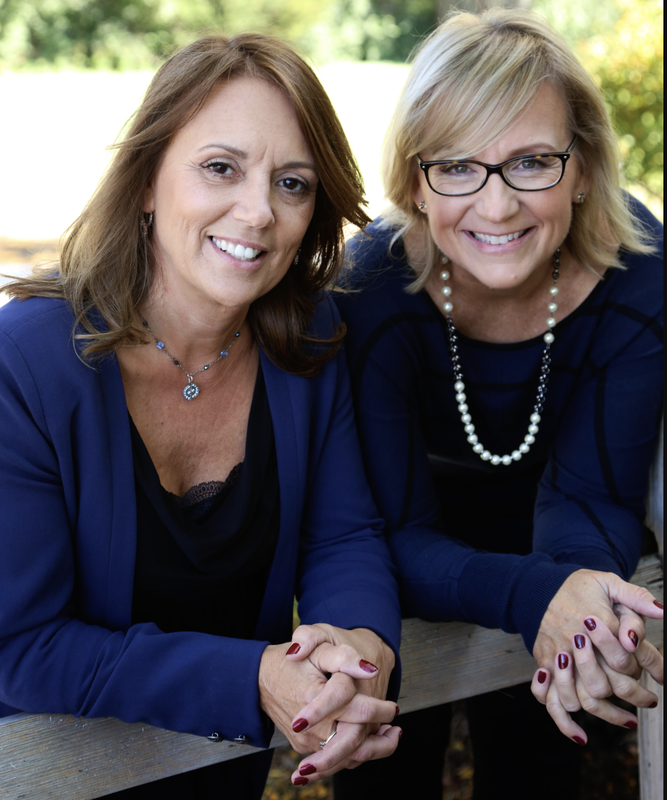 Dawn and I knew we wanted to produce a Michigan wine, because we want Michigan wines to get the recognition they deserve. Our Marathon Dry Riesling Sparkling is produced in collaboration with Fenn Valley Vineyards in Fennville, Mich. and Mawby in Suttons Bay, Mich. They are wonderful people who have been extremely kind and generous. One of our main company mantras is Do business with good people. What has been the most rewarding aspect of having this business? Oh my! So many things! Meeting so many inspiring runners, some paralyzed riding on hand bikes, some 80 years old! Also, the love and support of our families is truly amazing. We’ll be laser engraving our Marathon Sparkling at the Chicago Marathon Expo Oct 5-6! Come by and grab a bottle! Check out our website for events near you! We hope to expand into events in Mich next summer. We are just trying to make a small difference. So many charities, so many people busting their humps, burning the midnight oil. We just want to support their efforts and bring an element of fun to their charity events. How do you like to get out and move and explore? Do you have a favorite Michigan place to explore? I love to hike! I also love kayaking and boating. I love the dotted towns along Lake Michigan. The air is so clean and crisp. There’s nothing like a Lake Michigan sunset. Torch Lake lives up to it’s name, and you can’t go wrong in the UP. My husband is particularly fond of Mackinaw Island. He went there as a child and so did his father.